I do not want to say to much about the scenario, as both Iannick and Nicolas have been blinded to the other's OB as well to the actual layout of the terrain. I have recently finished up a good chunk of my Brunswick Corps and have never got to play my Austrian brigade that I painted a couple of years ago, so I was keen to get them into action. Some googling revealed that a combined Austrian-Brunswick force did exist for a brief time in the late spring early summer 1809 in the Austrian XI Corps. I also found that there was an interesting little battle just after the Battle of Wagram between the French and elements of this corps. The Battle of Gefrees took place on July 8. With the help of an article in Wargames Soldiers and Strategy issue 63, I was able to put together what I hope to be a nice little scenario. After playing around with the Rank & File rules for a month and asking a lot of questions on the Crusader Publishing forum, I feel that this ruleset will give us a good game. 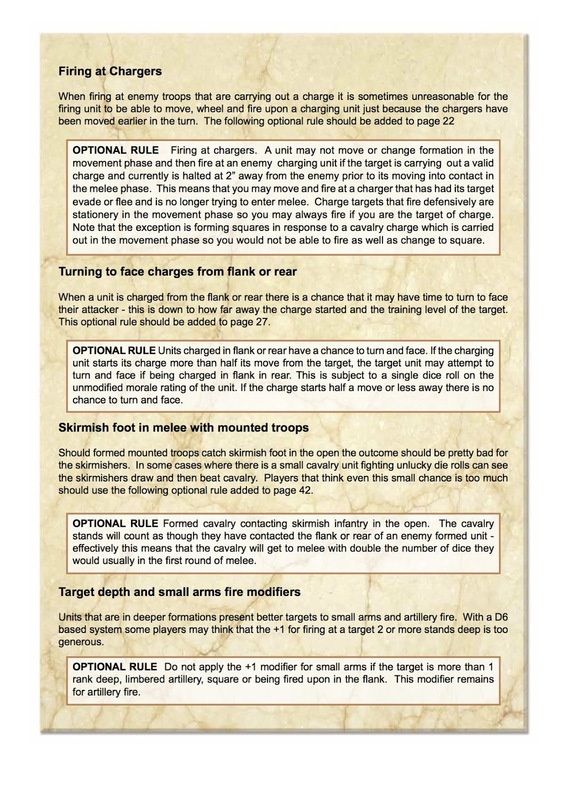 I will use many of the optional rules in the rulebook as well as some of the rules from the 3rd supplement page 3 in respect to firing on chargers, turning to face flank and rear charges as well as target depth and small arms modifiers. 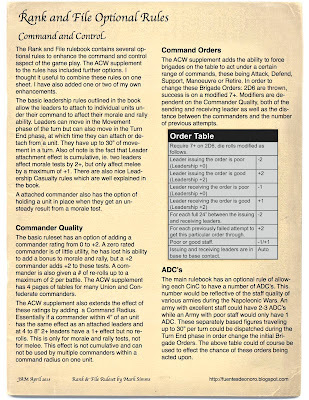 I have also gone through the ACW supplement and taken out the Command and Control rules and combined them with the optional Command and Control rules in the original rulebook. 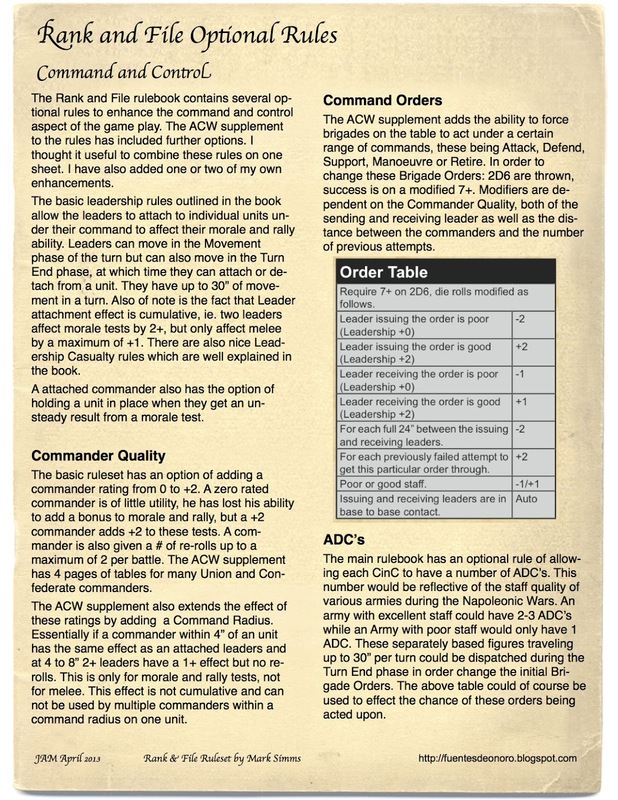 None of this is my work, but more an attempt to combine all the Command and Control rules into one sheet for our game. 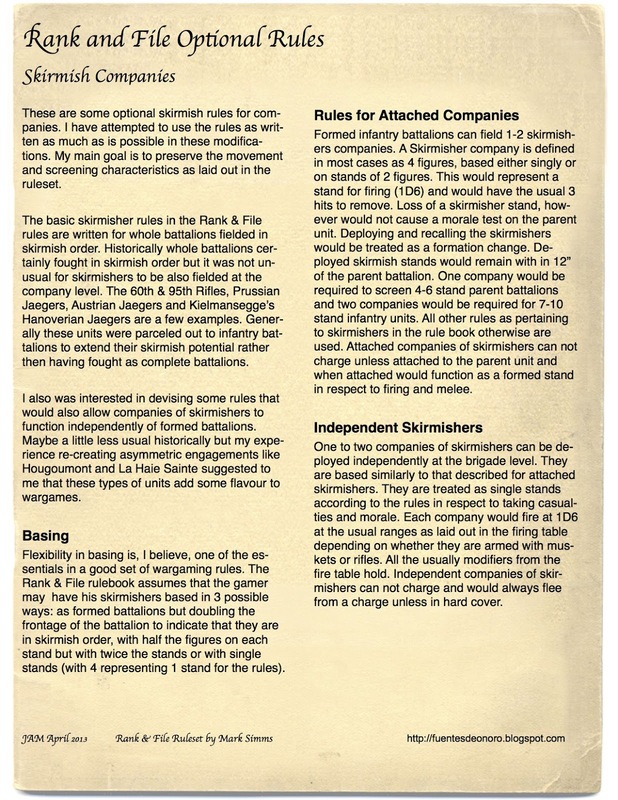 Finally the only non sanctioned rules that will be in play are those for skirmishers. I have no ability to resist the utilization of skirmishers on the gaming table, even more so since I have got into skirmish rules like SAGA. 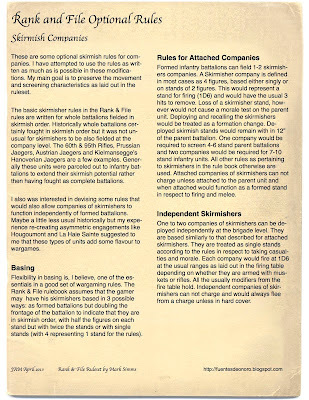 In our scenario we will be using skirmishers in battalion order (utilizing the rules from the book), but also will have some independent skirmish companies running about. 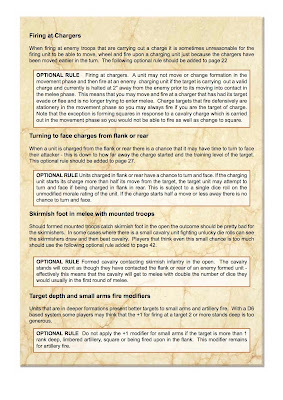 I have put together some rules modifications here in a summary sheet, this is of course a work in progress and comments are always appreciated. These look very interesting John, I look forward to the full report after the game.. Excellent work John and I very much look forward to hearing how the game unfolded. I've been looking for some r & f skirmish rules, so I'm going to steal yours and see how they play. Thanks.